The Jubilee Days festival is almost here! First sign - the Davis Shows Northwest carnival has arrived at Steve Cox Memorial Park. We stopped by for photos just before dusk. 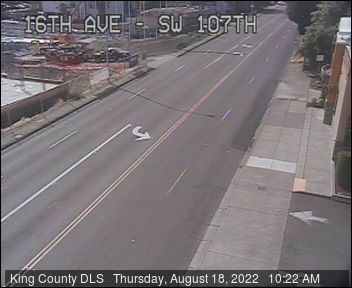 The ... Read more..
Just announced by King County Road Services, a closure of one block of SW 104th, from 15th to 16th, starting next Monday, July 24th. "Crews will be replacing a deep, ... Read more..